Where better to enjoy cocktails and conversation on a sunny day or warm evening than up on the roof? There’s no shortage of rooftop bars and restaurants offering breathtaking vistas along with delicious food and drink. Located 26 stories above ground, Three Sixty atop Hilton St. Louis at the Ballpark offers unobstructed, sweeping panoramas, whether you’re seated at a bar inside or one outdoors facing Busch Stadium. Indulge in seasonal cocktails and tasty small plates while keeping tabs on the Cardinals score and spectacular sunsets. For a birds-eye view of the action at Busch, no place beats the Budweiser Brew House Deck in Ballpark Village. Open to ticket holders for home games, this unique perch is one of the most exceptional game-day locations in all of Major League Baseball. Italian for “sky,” Cielo at the Four Seasons Hotel features dazzling views of the Gateway Arch, Mississippi River and downtown skyline from its terrace lounge eight stories up. 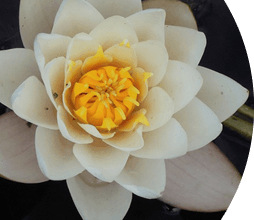 Dine on contemporary Italian cuisine or relax with an aperitif on the patio, which boasts roaring fire pits when it’s chilly and a shimmering pool in the summer months. Gorgeous glimpses of the historic Lafayette Square neighborhood, along with inspired but approachable French food, are among the highlights at Vin de Set Rooftop Bar and Bistro. The expansive deck offers ample dining space as well as a lively bar area to sample a savory cheese plate and glass of wine from an extensive list. The Rooftop Terrace Bar at the Moonrise Hotel provides unparalleled views of the bustling Delmar Loop, with sight lines that stretch all the way to the Arch. 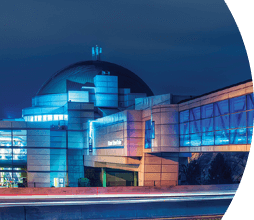 Partake in handcrafted cocktails and light bites while seated underneath a rotating man-made moon, reported to be the world’s largest. 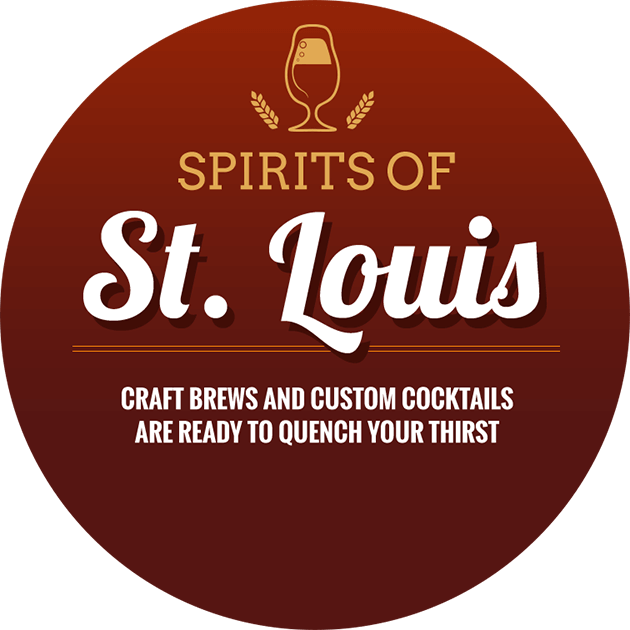 Long proclaimed one of the best beer-brewing cities in the world, St. Louis is not only home to the King of Beers, Anheuser-Busch, but to a growing number of breweries producing spectacular craft beer. In addition, the Gateway City boasts its share of prize-winning bartenders creating inventive cocktails and fun hotspots to enjoy them. Anheuser-Busch’s 300-seat, outdoor Biergarten is perfect for enjoying tasty pub fare and a variety of beers from the A-B InBev international family. A special beer tasting is held at 3 p.m. daily, when A-B brewmasters nationwide taste their beers to ensure quality. The first Missouri brewery to open since Prohibition, downtown’s The Schlafly Tap Room continues to be the largest, independent locally owned brewery, with a second location, Schlafly Bottleworks, in Maplewood. Schlafly produces more than 50 styles of beer. Even better than the Tap Room’s pork schnitzel or Bottleworks’ baked mac and cheese is savoring each with a pint of unfiltered Hefeweizen or Schlafly’s flagship Pale Ale. The award-winning beers at Morgan Street Brewery on Laclede’s Landing are handcrafted on-site to produce many styles, such as the Honey Wheat and Golden Pilsner that are available year-round. Also featured are a number of seasonal varieties as well as unique brews, such as When Helles Freezes, a German lager with a touch of spicy hop bitterness. Square One Brewery and Distillery, housed in an old Lafayette Square tavern, serves up dozens of varieties of house-crafted beer, including ones brewed through cask-ale conditioning, a fermentation process that results in more focused flavors. Also a micro-distillery, Square One produces its own whiskey, rum, vodka and gin. Flights of both beer and spirits are available, along with casual, hearty pub grub. Kevin Lemp opened 4 Hands Brewing Company in 2011, after years of experience with E. & J. Gallo Winery. 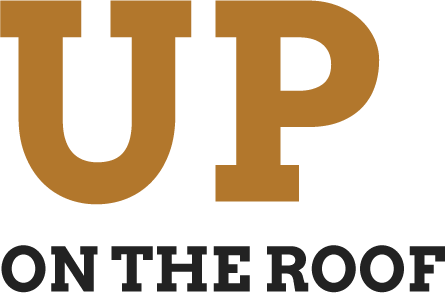 Among the brewpub’s repertoire of roughly 30 quality craft beers are Beyond the Bricks, a Belgian-style golden ale aged in chardonnay barrels, and Contact High, a bold wheat ale flavored with orange zest. Also on tap is an imaginative bar menu from the Fifth Wheel. 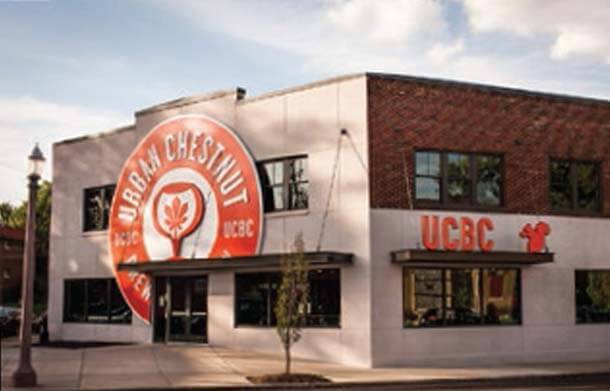 Urban Chestnut Brewing Company employs an Old World-meets-New World brewing philosophy in producing two beer series: Revolution (modern American) and Reverence (classic European). Favorites include Winged Nut, a chestnut-spiked ale, and Schnickelfritz, a subtly fruity Bavarian-inspired beer with hints of clove and nutmeg. Both locations offer German “bierhall” food. As for cocktails, Gamlin Whiskey House showcases dozens made with American, Canadian, Scotch and Irish handcrafted whiskeys, including its signature Peachy Keen, which blends locally made bourbon with fresh peach puree and cinnamon. Pair it with one of Gamlin’s hand-cut steaks or shrimp-and-grits appetizer. Like spice? 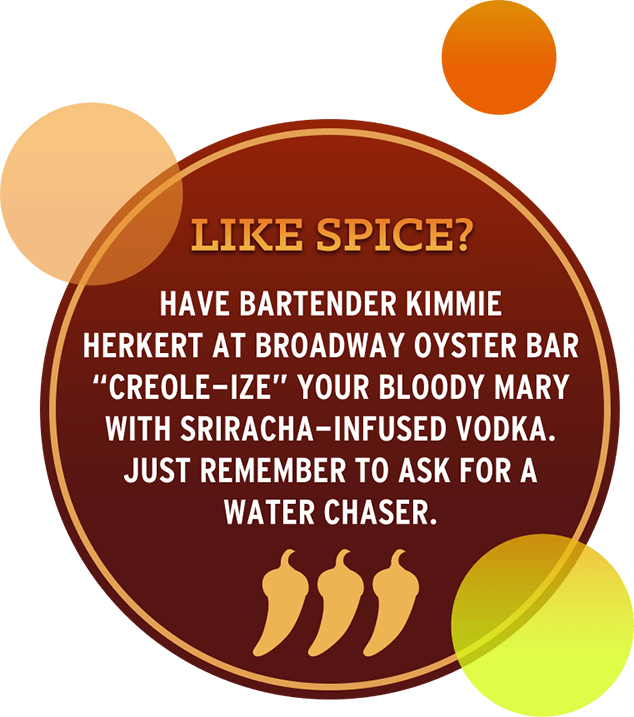 Have bartender Kimmie Herkert at Broadway Oyster Bar “Creole-ize” your Bloody Mary with sriracha-infused vodka. Just remember to ask for a water chaser. With its hand-painted, Art Deco walls and retro interior, it’s easy to overlook the “spirit treats” at The Fountain on Locust. That would be a mistake. Along with two dozen ice cream martinis, this midtown gem has innovative cocktails, including Death with Honor, a potent blend of tequila, crême de cassis, ginger beer and lime. Maya Café in Maplewood mixes up world-class margaritas from scratch. Try the Golden, made with top-shelf Souza Hornitos Reposado Tequila, Grand Marnier and sweetened fresh-squeezed lime juice. While 100 percent grass-fed burgers may be the main attraction at Bailey’s downtown namesake Bailey’s Range, equally superior are the boozy floats and shakes, including Sweet, Sweet Bacon. Imagine homemade salted caramel ice cream blended with premium bourbon, then chunks of candied bacon tossed into the mix. Yes, bacon. Trust us, it’s worth pigging out. 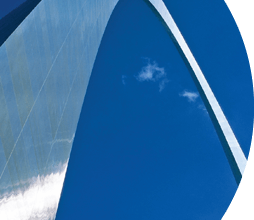 Discover even more tasty dining and drink options in St. Louis!